Call 877-242-3136 and purchase this item for $260.00 with our "Advanced Replacement" option. The DI-6-AC, Continuum's digital AC input module, has six digital (wet) AC inputs for cost-effective ON-OFF status indication of fan motor starters, solenoid valves, control relays, or external power supplies, and similar applications that require a quick and easy way to detect voltage. The DI-6-AC monitors the absence or presence of AC or DC voltage levels directly, with no interposing relays needed. 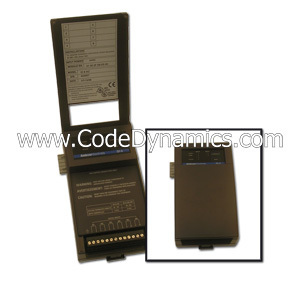 The DI-6-AC can monitor voltages from 24-120V. All inputs are optically coupled with 2500V isolation on each input for noise-free operation.